Was 2018 a Coherent year? - Acacia Communications, Inc.
Was 2018 a Coherent year? As we head to OFC next month, we thought it would be a great opportunity to look back at some of the developments since last year’s show. It was a year of much activity in the optical coherent space. There was an increased interest in pluggable coherent CFP2-DCO in the marketplace, as evidenced by the numerous module and system product announcements at OFC 2018. In May of 2018, we announced our collaboration with Lumentum (formerly Oclaro) to enable a second source CFP2-DCO based on our Meru DSP. We are proud to have been the first supplier to introduce CFP2-DCO to the market back in late 2016, and we welcome the growing interest in this form-factor because of the density and power consumption benefits for 100G and 200G coherent pluggable links in the metro and access space. The past year was also when the industry saw the introduction of 600G era technology with numerous announcements of DSPs and systems capable of up to 600Gbps per wavelength transmission. For example, ECI unveiled a 1.2T (dual 600G channel) optical blade and Tencent trialed ADVA FSP 3000 TeraFlex™ 600G DCI technology over its open line system OPC-4. Acacia’s AC1200 1.2Tbps coherent module, powered by Acacia’s Pico DSP ASIC, has been well received, with its high performance, high-baud rate 70+Gbaud capabilities, as well as its flexible 3D Shaping capabilities as explained in this video. 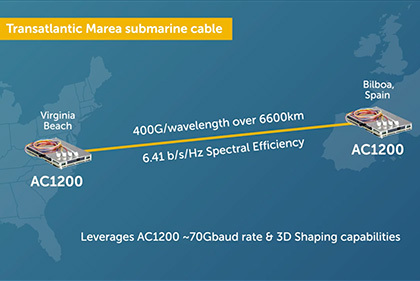 We have participated in a couple of trials including ADVA’s 300G submarine demo using the FSP 3000 TeraFlex™platform, and the first demonstration of 400G per wavelength transmission over the 6,600 km trans-Atlantic Marea submarine cable. 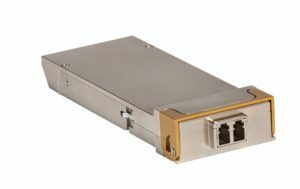 The AC1200’s rich set of features was designed to provide benefits to submarine, long-haul, metro, and edge DCI applications for network optimization and cost-per-bit savings. 2018 was a busy year for Acacia’s thought leaders, who had the privilege to speak at numerous venues last year. Key topics included silicon photonics, optics, and DSP ASICs. You can learn more about the topics and presentations by reading the blog post on each event including OFC, NGON, CIOE, ECOC, Light Reading’s 5G Transport Event, and GFP2018 Group IV Photonics Conference. Throughout the year, Acacia continued our support for industry efforts to standardize coherent interconnects within OIF, IEEE, Open ROADM, CableLabs and ITU. These efforts are expanding existing coherent standards to address higher data rates, as well as adoption of coherent in shorter reach access and DCI edge applications. In next generation Remote PHY and 5G applications, network operators are looking at coherent as an access aggregation technology. These access applications are also driving new environmental requirements for coherent interfaces. According to the Cisco VNI report, annual global IP traffic is forecasted to increase threefold over the next five years, reaching 4.8 ZB per year by 2022. Growth is expected to be driven by connected technologies such as autonomous vehicles and the adoption of the Internet of Things (IoT). The optics industry faces the continued challenge to support this network expansion with technology innovation that drives more efficient network architectures. With the introduction of systems supporting higher baud rates, flexible modulation and advanced performance, network operators are leveraging common hardware for applications ranging from metro through submarine. Whether the benefits of these solutions are utilized for higher capacity, such as in DCI edge applications, or greater reach these solutions offer improvements in operational flexibility and efficiency. Our AC1200 customers are demonstrating the benefits of this new deployment model to network operators. For many years, it has been desirable to place transport optics directly in switches and routers, eliminating the need for bookended transport solutions. Deployment of this architecture has been limited, though, by a couple drawbacks. First, transport optics have typically been larger form factors than client optics, which results in stranded switch capacity. The increased adoption of pluggable coherent optics, such as our CFP2-DCO and the 400ZR modules are designed to address this concern. Second, closed line systems have meant that alien wavelengths have sacrificed performance compared to bookended solutions. Through many industry efforts, open line systems are closing the gap and in some cases can offer benefits by allowing for faster adoption of new technology. 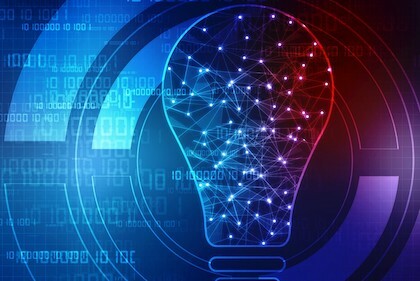 As mentioned earlier, the trend toward standardization of coherent interconnects for certain emerging applications has already started. This momentum behind these efforts continues to grow as it becomes clear that standardization of these technologies can be achieved. New applications and higher data rates are likely to continue this trend in 2019 and beyond. We’re excited to have a front row seat as the optical networking industry looks forward to the next set of challenges to be overcome in 2019 and beyond. We look forward to seeing you all next month at OFC!